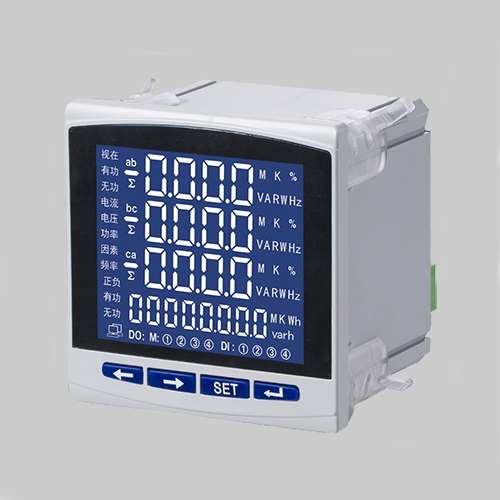 This product adopts the most modern microprocessor and digital signal processing technology, which can measure three-phase voltage, current, power, grid frequency and other common power parameters in the power grid. 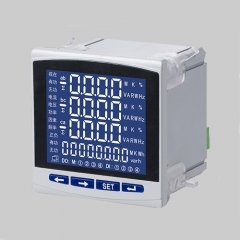 At the same time, it also has electric energy accumulation, energy pulse, cross-line alarm, switch input and output, simulation transmission output and network communication functions. 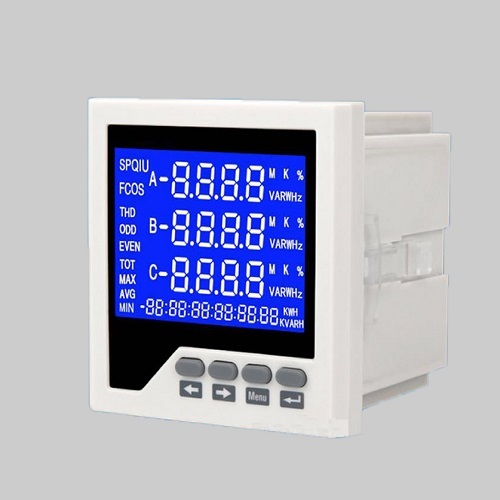 With a friendly man-machine interface. 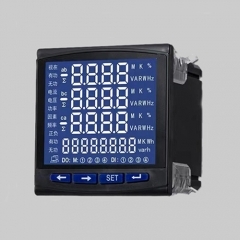 This product has a very high cost performance and can directly replace conventional measuring indicator instruments, energy meters, multi-function network power meters and related auxiliary units. 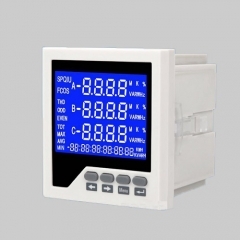 As an advanced intelligent, digital grid front-end acquisition component, which can be applied to various control systems, energy management systems, substation automation, distribution network automation, residential power monitoring, industrial automation, intelligent buildings, intelligent switchboards, In the beginning cabinet, it has the characteristics of convenient installation, simple wiring, convenient maintenance, small engineering quantity and field programmable input parameters. 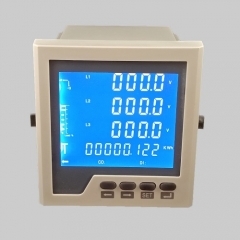 LCD panel mount measurement analysis RS485 power meter can complete the networking of different PLC and industrial control computer communication software in the industry.